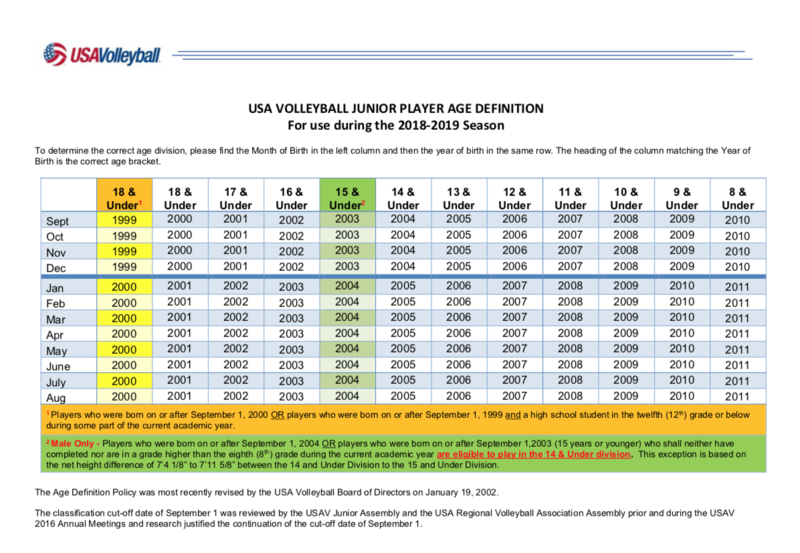 To Download a .pdf version of the USA Volleyball Age Definitions Info document, you can click here on the image below. Kraken VC will field two 12s, and may form younger teams based on interest. We will consider athletes for U12 & younger teams as young as 7 years old, based on their current ability and potential. Boys and Girls can participate on 14s and younger teams.